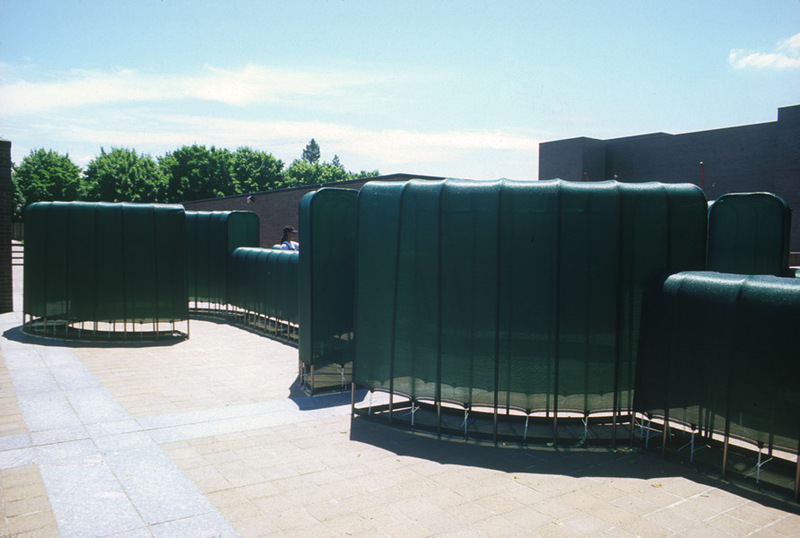 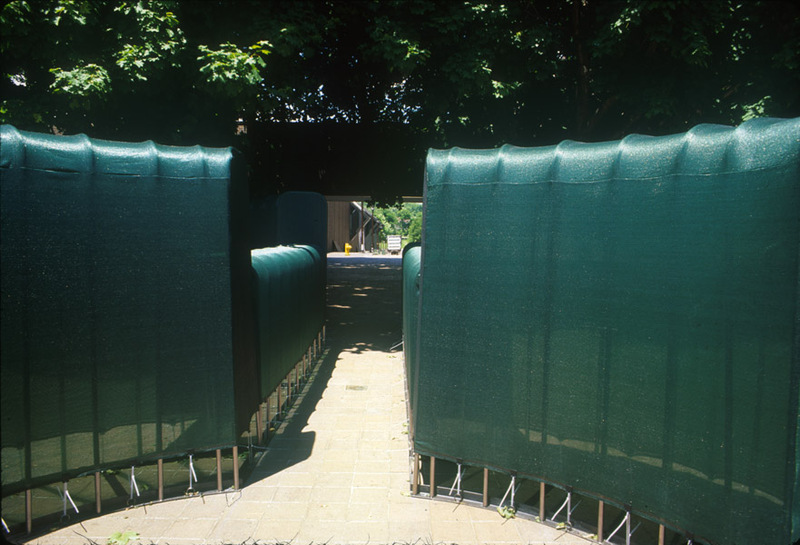 “Hedge”, 1999, 50’x30’x6’; steel, windscreen. 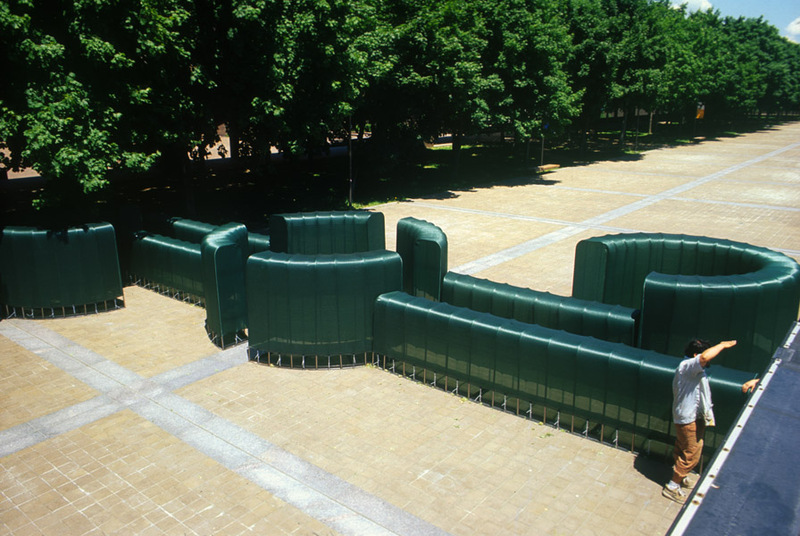 Installed at the Neuberger Museum on the SUNY Purchase campus, as part of the Biennial of Public Art. 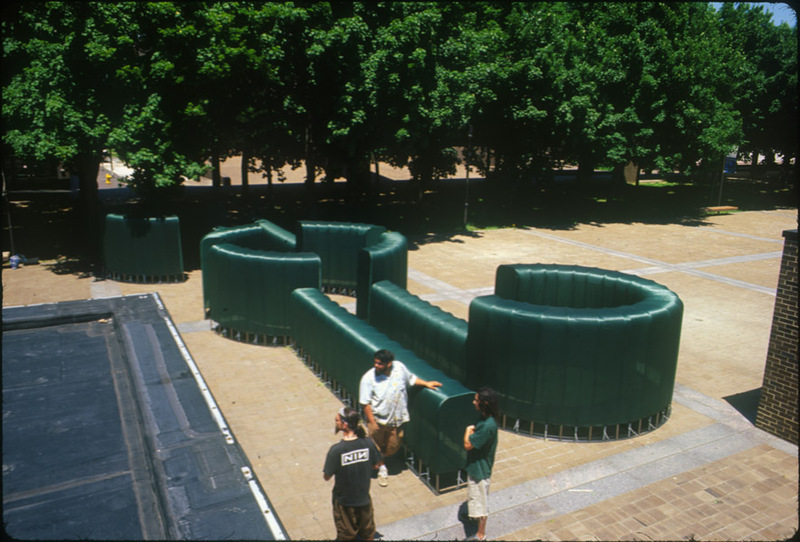 Form based on a ‘subtle’ manipulation of a natural form to create shelter.